Tiny houses are all about minimalist living and treading lightly on Mother Earth. But now it’s become a full-blown movement. Most people consider a house “tiny” if it’s less than 500 square feet. That’s not much, but that’s the idea. And with some creativity, you can do a lot with those five hundred square feet. A lot more than you might think. 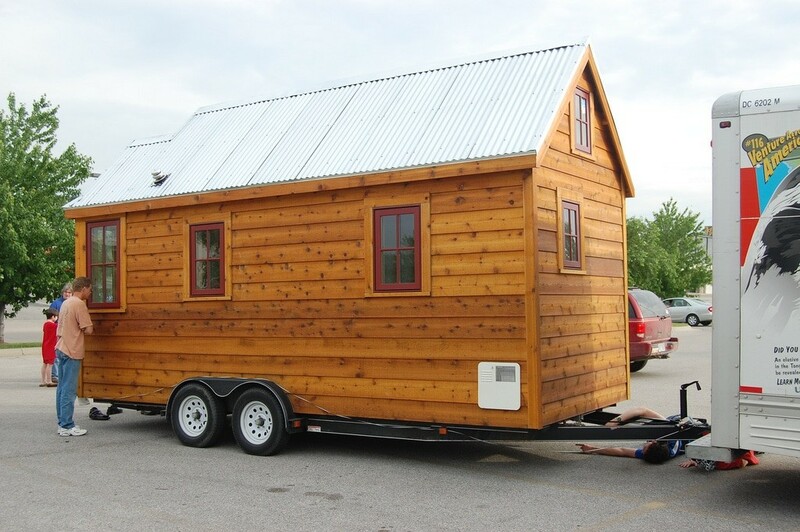 There are tiny homes on wheels, two-story minis, and itty bitty log cabins. 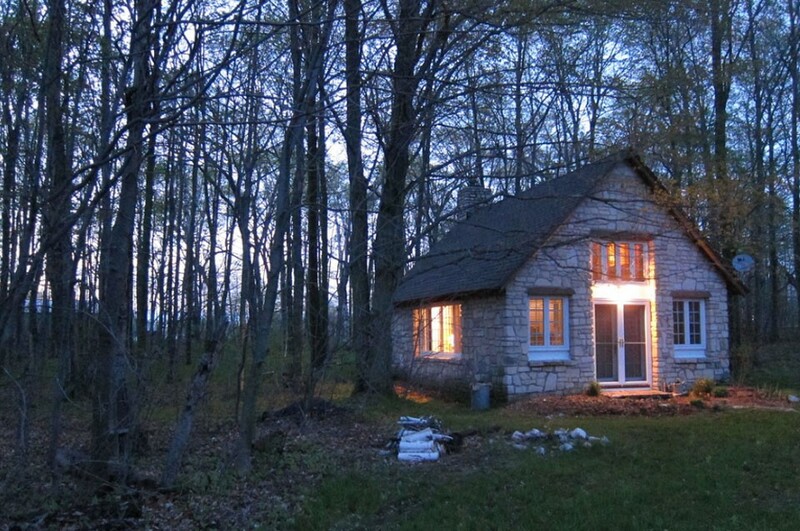 You can find tiny urban houses and teensy weensy cottages in the woods. You will also see luxury tiny homes with all the bells and whistles, and minimalist, off-the-grid boltholes. Lots of people design their own tiny homes, but there are also plenty of companies that will build one to your specifications. Consequently, your imagination is the only limit. Since before Henry David Thoreau shacked up at Walden in 1845, the simple life has captured our imagination. But tiny houses really started taking off during the dotcom bubble in the 1990s. As Americans bought up 3,000 square-foot McMansions, websites and magazines sprang up to extol the virtues of smaller homes. 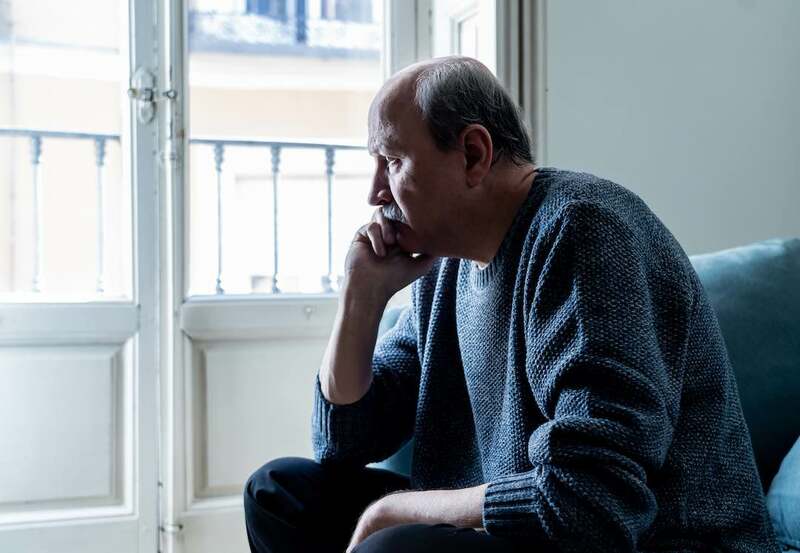 Then, after many of us lost our homes after the crash of 2008, smaller living also came to mean financial freedom. That’s easy to understand when you take a look at the numbers. For starters, there isn’t a single state in the U.S. where a minimum wage worker can afford a to rent a two bedroom apartment. Things don’t look so great for home “owners” either. The average mortgage debt for the US homeowners is $173,000 and the average monthly payment is $1,061. Meanwhile, 68 percent of people with tiny houses have no mortgage payment. They also have more money saved and less credit card debt. Tiny houses cost less to build, heat, and maintain. And if you lose your job and have to move — as happened to many after the 2009 housing crash — you can just haul it to your next home. Who Lives in Tiny Homes? All sorts of people! Downsizers, nomads, and freedom-lovers. Hipsters, environmentalists, young professionals, and retirees. Some people like the price. Others are devoted to reducing their environmental impact. 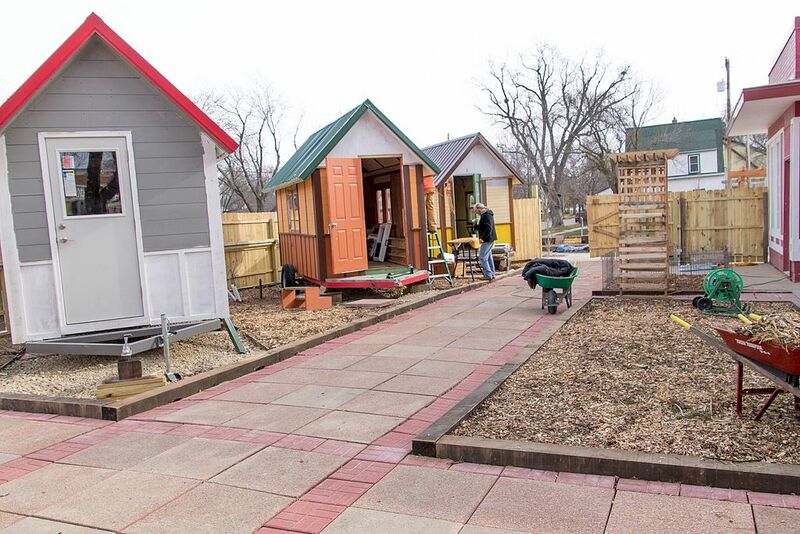 Some cities have set up tiny house villages for people transitioning out of homelessness. There are are also planned tiny house communities for people who want to live with other tiny home enthusiasts. A lot of tiny house owners want to focus more on living and less on acquiring and maintaining material possessions. As a result, you will find tiny home enthusiasts of all ages and from every walk of life. Image CC 2.0 by alfredtwu via Flickr. What do Tiny Houses Look Like? Whatever you want them to! Most importantly, tiny houses need to be small — five hundred square feet or less. Although many of them are even smaller than that. A lot of tiny home lovers like a rustic look with natural materials. Just needs wheels…http://www.thehealthyfoodfridge.com/shipping-container-tiny-house/Many thanks to Daniel Petrushevski for sharing! Others prefer a clean, modernist look. 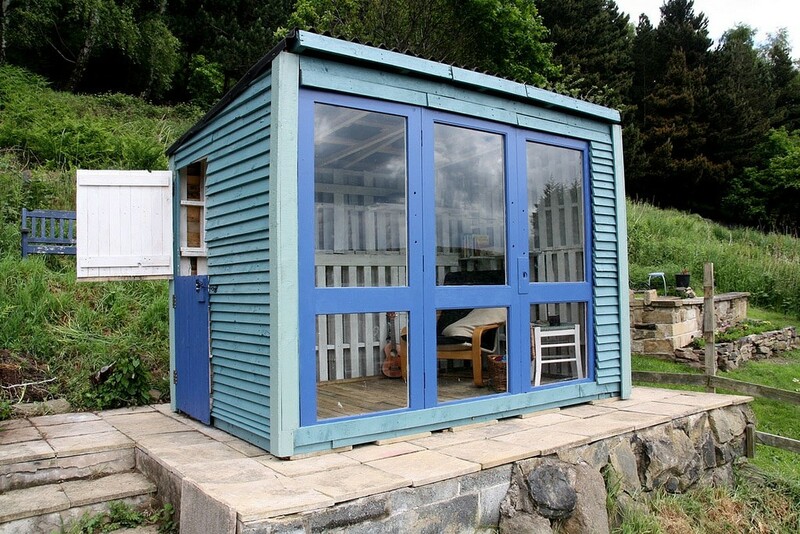 Shipping containers are a popular choice for people who are into recycling. There are tiny log cabins and miniature palaces of metal and glass. Another popular design is the A-frame. Some tiny houses have an open plan, while others have bedrooms, stairs, and even lofts. Many tiny house owners buy a plot of land for their house. Others park in RV parks. You can buy a ready-made tiny house, build your own, or design one and have someone else build it. Let’s take a look at some of them. First up, we have tiny houses on wheels. Like modern-day caravans, these tiny homes are ready to take you wherever adventure is leading you. Why settle for a thin-skinned, metal and plastic RV when you can have an entire home that you can pull behind your vehicle? Take your house camping with you? Why not? Another advantage: tiny houses on wheels can park wherever RVs can. And that includes state parks, national parks, and campgrounds where RVs are welcome. However, RV laws are different in different places, so always check before you go. Image CC 4.0 by Guillaume Dutilh, via Wikimedia Commons. Some people call tiny mobile houses “tiny house RVs.” It’s a good description in a number of ways. First, tiny mobile houses are portable. Second, you can buy a tiny house RV that is plumbed to be connected to public water and sewer. In addition, you can buy a tiny house with a standard or RV toilet, or even a composting toilet. 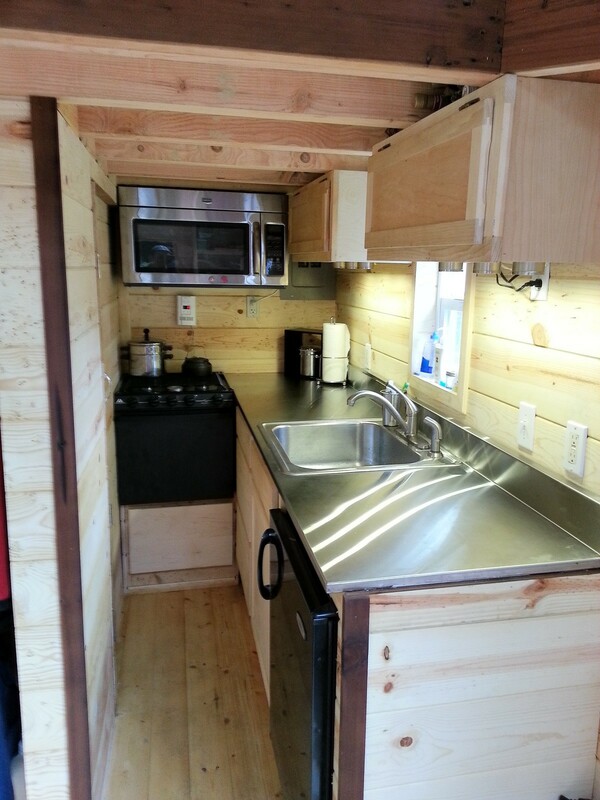 Finally, you can buy a tiny house RV with RV on demand hot water. Most importantly, like an RV, a tiny house RV can go where you do. Tiny house owner Lora Higgins has some great advice about living in RV parks at her blog. She also has some great stories. Image CC 2.0 by Matt Harriger via Flickr. Like a lot of tiny houses, this one has a rustic wood exterior. Notice the corrugated metal roof, which gives extra protection from the elements. Image CC 2.0 by Nicholas Boullosa via Flickr. 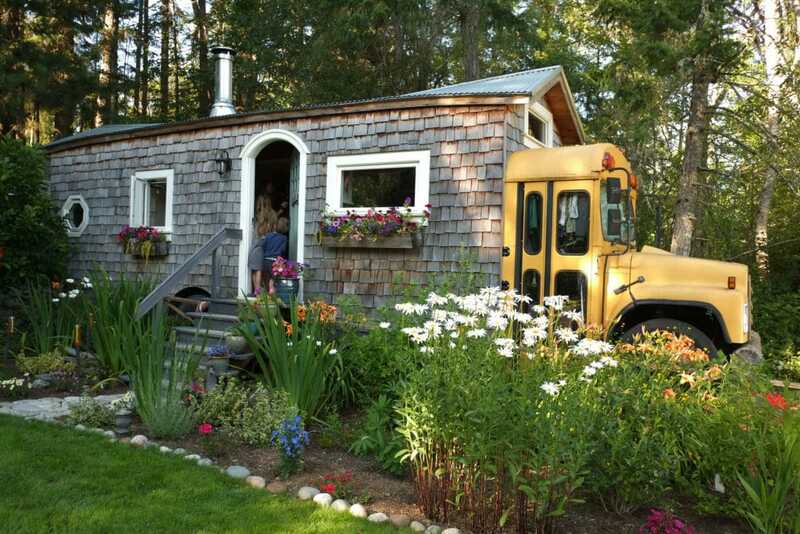 This tiny Pacific Northwest home is built on an old school bus. The garden and flower boxes show that this is a stationary house. But there are deep wheel wells, which suggests that the owner could pick up and leave if the mood struck. More tiny homes on wheels. This Park model is available from Palm Harbor Homes. and starts at $21,000. This charmer comes from Molecule Tiny Homes LLC and goes for $75,000. Davis Richardson built this 240 square-foot “Kinetohaus” to live in while he was in grad school at U. Texas Austin. It took him nine weeks and cost less than $25,000 to build. You can buy the plans from his website at David Richardson Design. You can’t buy any of these cheerily colored confections because they’re located at a resort in Sarasota, Fla. But you can buy a Cypress tiny house from Tumbleweed for $62,950 and decorate it like this. Just like Dr. Who’s T.A.R.D.I.S., many tiny houses look a lot bigger inside than you might expect. This is because designers build these miniature marvels with efficiency in mind. Inside a tiny home, you may find lofts, built-in storage, or retractable staircases. Furniture does double or even triple duty. There’s not an inch to spare. As a result, every inch counts. Image CC 2.0 by Tomas Quinones via Flickr. 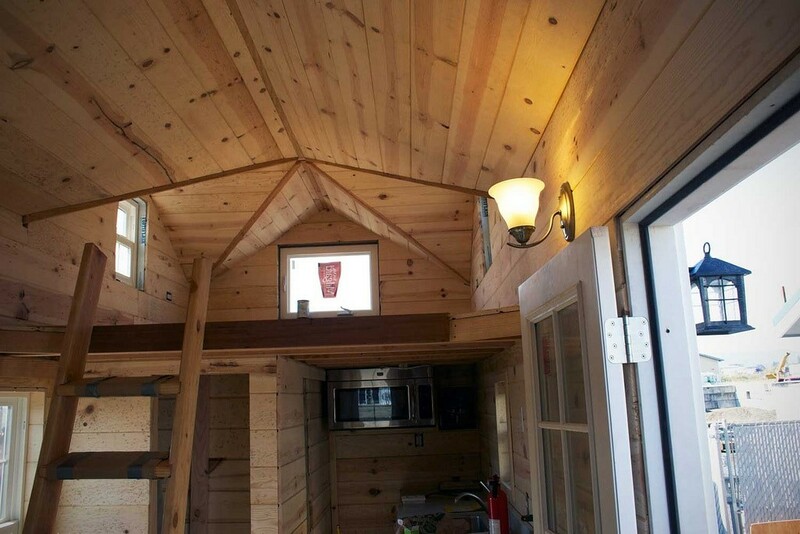 Notice the vaulted ceilings, loft, and built-in storage on this tiny house. Like many tiny house builders, this one chose to stick with natural, minimally treated materials. The ladder sits at a steep angle, and has a smaller footprint than a staircase. The owner can also stow it away, if desired. 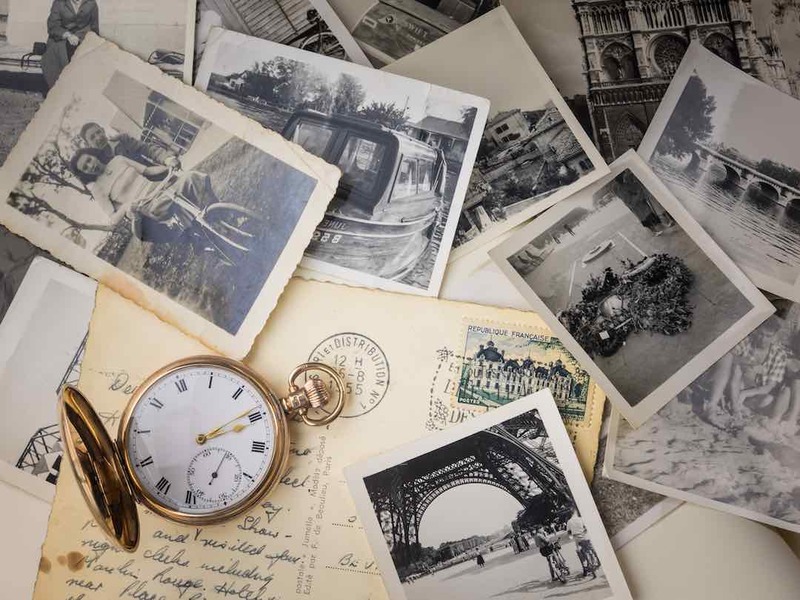 Image CC 2.0 by Tammy, via Wikimedia Commons. Pull out under bed baskets and wall mounted storage make this cozy interior a space saver. Lots of windows make this tiny house look spacious. Image CC 2.0 by Tomas Quinones, via Flickr. Look at this tiny kitchen! Lots of built-ins and high cabinets, along with a suspended microwave, leave room for a good-sized dishwasher and propane stove top. In many tiny houses, saving space comes down to fixtures doing double duty. Storage, storage, storage! French double doors give the illusion of more space. 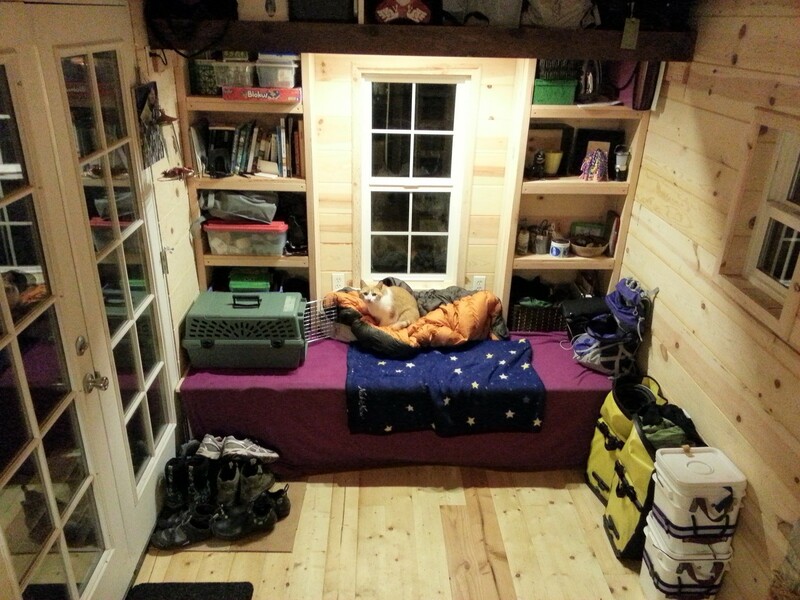 At the same time, built in storage overhead and in the walls makes room for kitty. 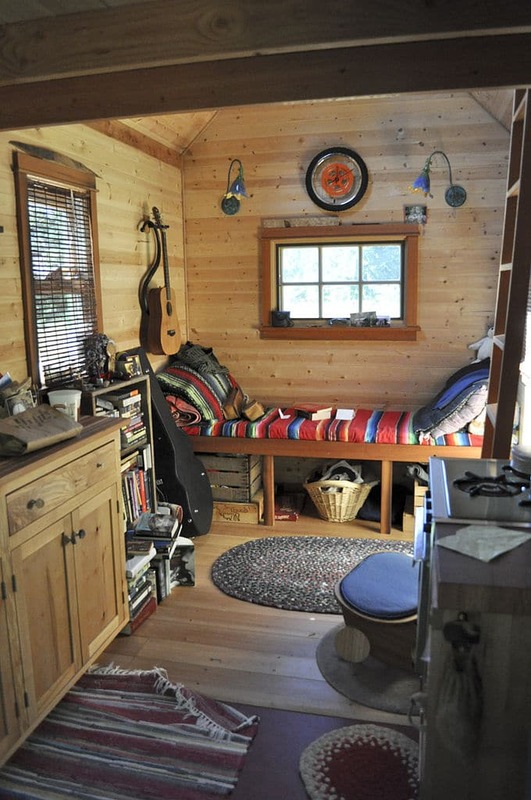 Here are a couple of other tiny houses with beautiful, space-saving interiors. There are a lot of ways to get your tiny house built. First, you can buy one that’s already finished. Second, you can design your house and have someone else build it. You could also buy a prefab kit with all the materials you’ll need. Finally, you could build it yourself from the ground up. Tumbleweed has a tool that can give you an idea about the design process. You can pick from several basic designs, choose different interior and exterior options, and get a price quote. The Small House Society has a directory of architects and builders that specialize in tiny houses. There are also numerous kits available for tiny houses you can build yourself. Image CC 2.0 by Nicolas Boullosa, via Flickr. Look! It’s a tiny treehouse! The Garnier Limb bolt holds this treehouse tiny house safe and secure. As a result, you can sleep like the baby in the nursery rhyme, rocked to sleep by the swaying of the tree. Treehouse entrepreneur Michael Garnier designed this bolt, and uses it for the treehouses at his famous Out ‘N’ About Treesort in Oregon. 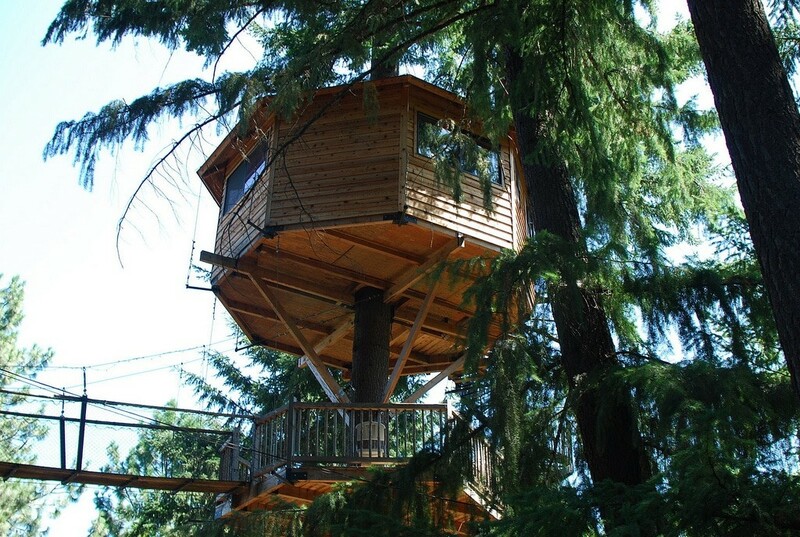 A tiny treehouse is a unique way to minimize your house’s footprint, as well as your own. Image CC 2.0 by Alicia Chenaux, via Flickr. This cozy little place in North Carolina brings the outdoors in. Or is it the indoors out? Either way, natural materials and large windows create a seamless flow between the outside and the warm inside. This diminutive charmer looks rustic, but the French doors and paving stones mark it as a luxury option. But you don’t have to build everything from scratch. There are lots of customizable modular kits you can buy. Cabin Kit ❤ Yes or No ?? Image CC 2.0 by Dan Hughes, via Flickr. Dan Hughes made this little cutie out of pallets. He calls it a summer house. He originally built it for a contest. It shows how easily a regular person can put a tiny house together, as well as the variety of reclaimed materials someone could use. This minimalist tiny home in Spain has a simple design, and almost looks like it’s been slapped together. On the inside, though, it looks very warm and cozy. Tiny House Build has in-person and online courses. They also have kits to help you draw up plans, and to get started building. In addition, you should check out their free seven-day e-course. For Andrew and Gabrielle Morrison, tiny houses aren’t just a place to live, they’re a philosophy and way of life. Tiny Home Builders offers a soup to nuts book on tiny home construction. First, their guide takes you through the tiny houses philosophy. Next, you’ll learn about legal issues like parking. Finally, you’ll learn about house types and building materials. Most importantly, you will learn about DIY plumbing, electrical, and sustainable technology for your tiny home. Tiny House Design has a roundup of resources for prospective tiny house builders. They also have a huge book titled 101 Tiny House Designs with over 400 pages of designs for all kinds of tiny homes from 12-32 feet long.. Yes, you can buy a tiny house that’s already built and ready to go. There are even options to buy pre-owned. But how? First, decide your budget. Tiny houses go from a couple thousand dollars to the price of many full-sized houses. Second, you’ll have to decide exactly what you’re looking for. Do you want a stationary home or a home on wheels? Thirdly, some tiny houses come with land. Is this something you’re interested in? In addition, you’ll have to decide where you want to buy your house. Or do you want someone to deliver it to where you are? Finally, the fun part: Go shopping for the tiny home of your dreams! Here are some places you can find tiny houses for sale in your area. 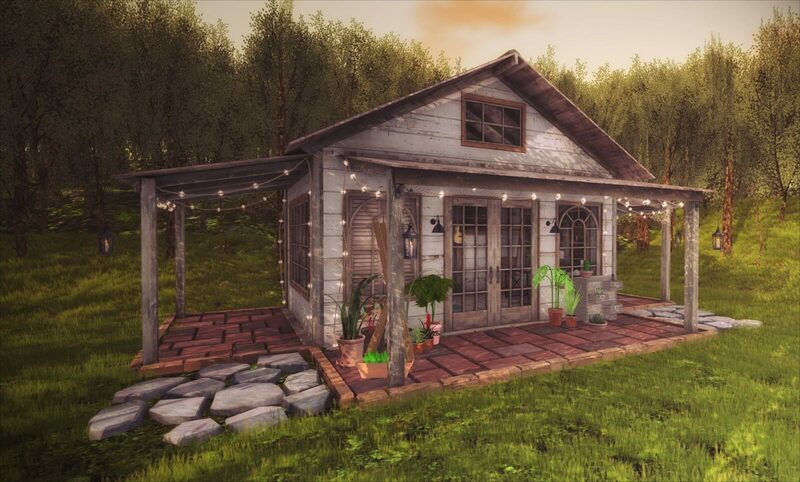 Tiny Home Builders Marketplace: Browse listings for new and pre-owned tiny houses for sale across the United States. In addition, you can search by location, price range, number of bedrooms, and available features. 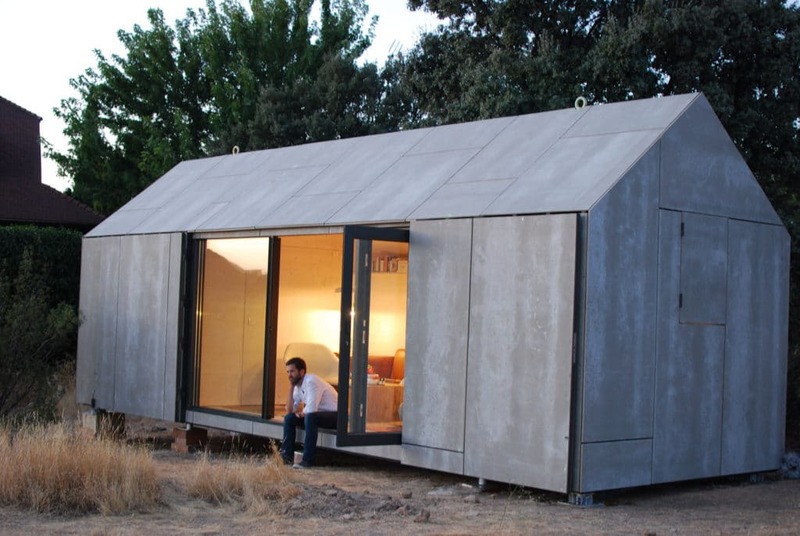 Curbed has a roundup of some great prefab options you can order. Tiny House Listings has listings of tiny properties available worldwide for purchase or rent, with or without land. They can also connect you with builders and other professionals. In addition, you can post your own listing, if you have a tiny house to rent or sell. Mint Tiny Homes allows you to design a home, which the company will build and deliver to you. In addition, you can also find tiny houses for sale on eBay and Amazon! As always, though, do your research. So, if tiny homes are so awesome, what’s the catch? For starters, you need a place to put it and in many cities, land is very expensive. On top of that, the building codes for most cities and counties don’t allow homes that small. So where can you live if you want to buy or build a tiny home? Start with the American Tiny House Association. According to them, the following cities have no minimum square footage for houses (though you do have to conform to other building codes). If you’d like to live among other people who love tiny houses, check out these tiny home villages. Some have houses waiting for you, with others, you’ll need to bring your own. Habitats Tiny Homes: San Diego, Calif.
Whispering Aspen Village: Fairplay, Colo.
Sprout Tiny Homes: La Junta and Salida, Colo.
Green Bridge Homes: Effingham County, Ga.
Air Stream Village: Las Vegas, Nev.
Stay where the road takes you. Able to be towed on a bumper hitch, frame-towing hitch or as a fifth wheel. Is no larger than state law allows: In most states, the max is 8’6″ wide by 30′ long by 13’6″ high. The roof can be higher when not moving. 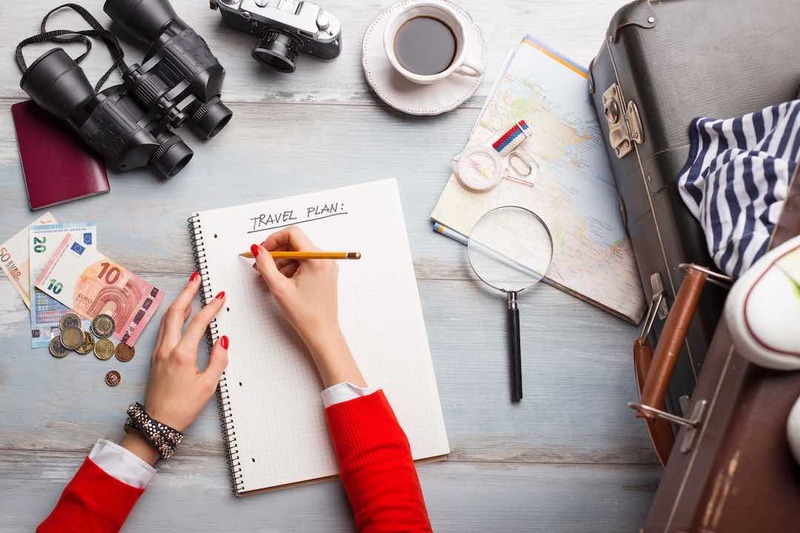 Chimney piping needs to be removed while traveling. 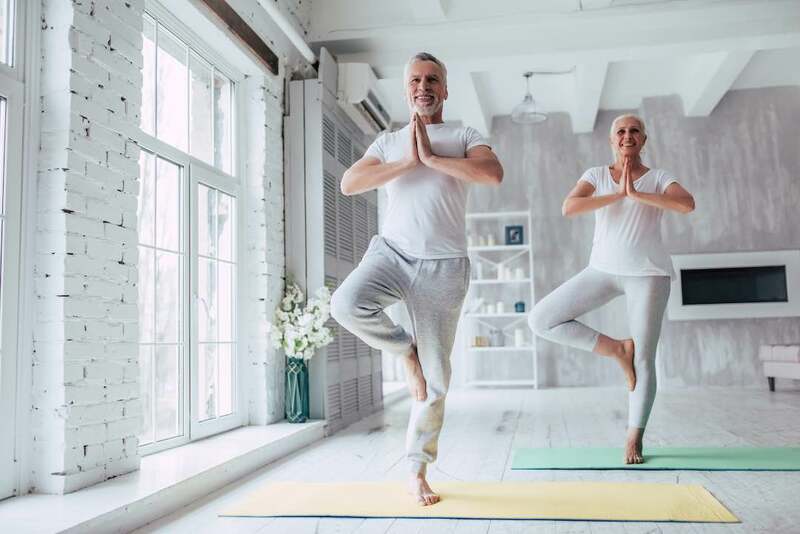 Your THOW needs a minimum of 70 square feet of living space, but no more than 400 square feet (lofts don’t count). With a THOW, you can stay at campgrounds, RV parks, even a friend or family member’s back yard. With that all said, this is just a summary to give you a basic idea. We’re not the DMV and you’ll need to check the laws for any state you plan on passing through. Here’s a guide to trailer dimensions by state from AAA. Many cities are exploring tiny houses as an option for their homeless citizens. 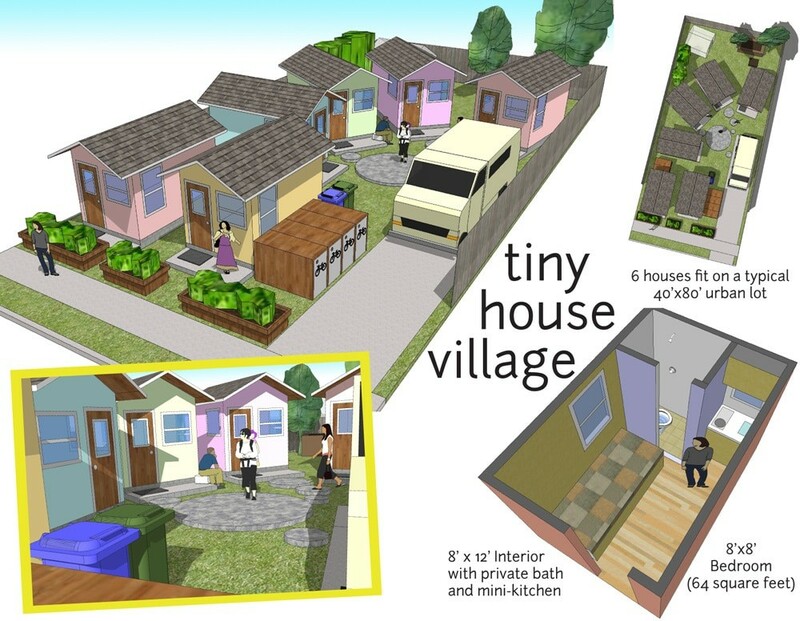 Tiny home villages provide community and a supportive environment. They can be used for transitional or permanent housing. Most importantly, they don’t cost much, and they can be completely self-sustaining. As a result, tiny houses may be more than a solution for homelessness. It may be a solution for all of us. Photo of Occupy Madison Village. Image CC 4.0 by Jillyhop, via Wikimedia Commons. Occupy Madison Village: A village of formerly unhoused people in Madison, Wisc. It’s integrated with the surrounding neighborhood and features a store and community garden. Cass Community Tiny Homes provides housing to low income and homeless Detroit residents. 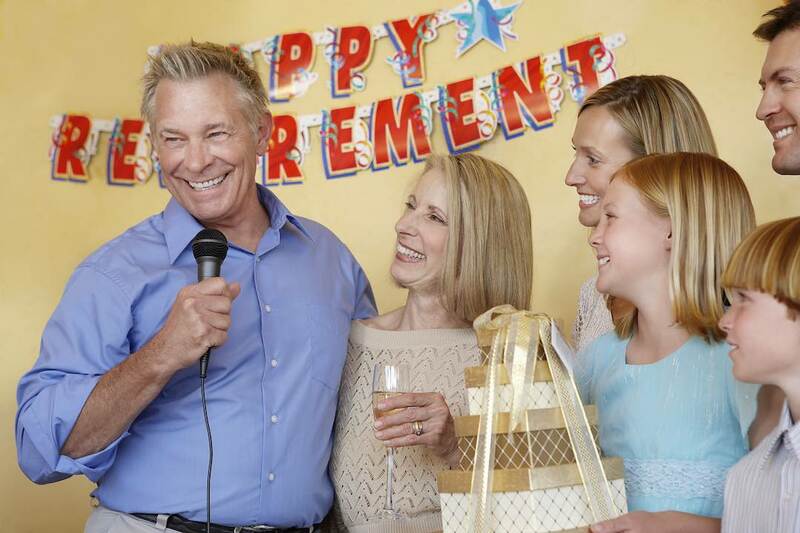 If they stay for seven years, they can buy the property. Tiny Houses Greensboro builds tiny houses for people experiencing homelessness in Greensboro, NC. Warrior Homestead aims to give homeless veterans sustainable tiny houses on a plot of land. They seek to locate these communities in or near cities across the country. My Tiny House Project L.A. builds tiny houses for the homeless, and offers workshops in tiny house building for interested parties. Dignity Village started out in 2000 as a camping protest by unhoused people in Portland, Ore. Now, it’s a member-run community that provides shelter to 60 people. Is a Tiny Home in Your Future? Tiny houses are more than just a trend. They’re a revolution in low cost, customizable, sustainable housing. The tiny houses movement is a re-commitment to people over things. People are making the statement that less is more. 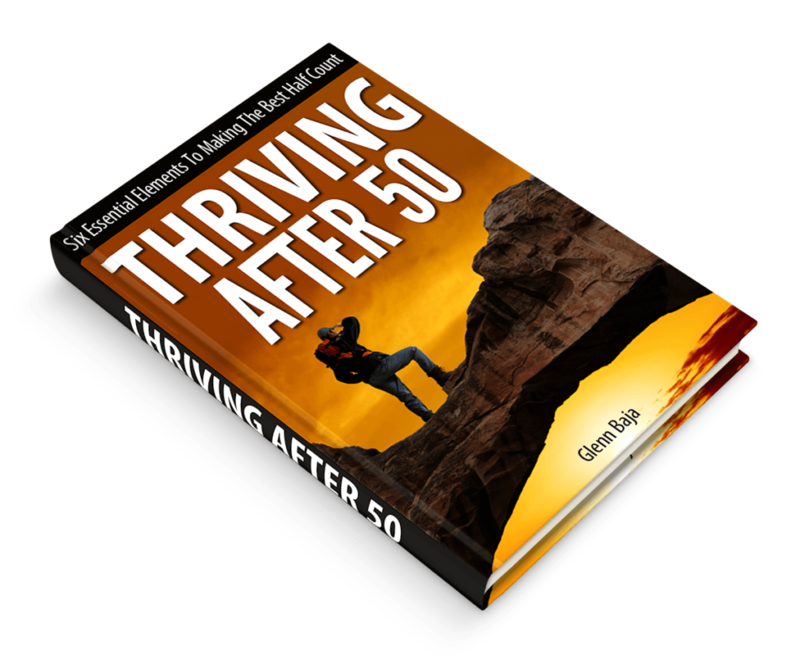 Are you ready to cast off the burden of excess and embrace a new adventure? If so, then a tiny home may be for you. Feature Image CC 2.0 by Laura LaVoie, via Flickr.